TAIPEI, Taiwan, October 6, 2015 (ENS) – More than a year after the tragic 2014 gas explosions in Kaohsiung municipality, Taiwan citizens are still fighting their way to safety. Academic and civil groups are urging the government to provide public access to environmental information and embrace sustainable industrial development as the centerpiece of its strategy. Thirty-two people died and 321 others were injured on the night of July 31 and in the early morning of August 1 last year, when gas pipelines running along major roads in downtown Kaohsiung exploded due to underground leaks of propene, a highly flammable, nearly odorless petrochemical used to make polyesters. The Emergency Response team on the scene of the petrochemical disaster, including the Kaohsiung Environmental Protection Bureau officials and the Toxic Disaster Contingency Personnel, was criticized for their inability to locate the nature and the source of the leaking gas. Investigations after the explosions revealed that the pipelines had begun to show abnormalities hours before the blasts, but either the distribution company or the petrochemical plant failed to detect the leaks. The pipes were shut down only after 3.77 metric tons of propene leaked out. 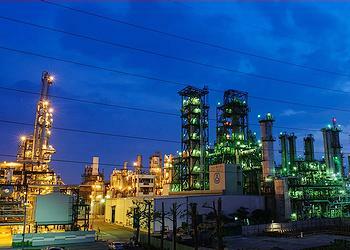 Kaohsiung is Taiwan’s second-largest city, an industrial hub located in the southwest of the island. Some 2.8 million residents share the city with several petrochemical parks, which rely completely on imported crude oil and release air pollutants, besides taking up a lot of land and water. The slow response to the leaking propene crisis by government and private companies was made worse by the lack of pipeline mapping and monitoring information. The inefficient notification system for crisis communications made matter still worse. To remedy the situation, Premier Yi-huah Jiang asked the Ministry of Economic Affairs to obtain the underground petrochemical pipeline network information across the country and establish a monitoring and management system for the pipeline network. The premier also announced that the pipelines may be rerouted to avoid heavily populated areas. However, the environmental group Citizen of the Earth, Taiwan said that the government’s efforts since the blast are far from satisfactory. There is still a long way to go before Kaohsiung becomes a safe and sustainable city for its people. Despite initial promises, the Ministry of Economic Affairs has not revealed the information of the 4,060km long petrochemical underground pipelines to the public, because the ministry fears that this information may cause mass panic. Hua-mei Chiu, assistant professor of sociology at National Sun Yat-sen University, criticized the government for jeopardizing the public’s right to know, saying their approach was outdated and, most of all, irresponsible. She attributed the environmental disaster to the lack of knowledge about petrochemical pipelines and risk prevention on the part of firefighters and community residents. Citizen of the Earth Taiwan suggested that the government incorporate the element of stakeholder participation as exhibited in the USA’s Emergency Planning and Community Right-to-Know Act, in order to foster community and citizen awareness in environmental decision-making. “The first step in disaster prevention is getting to know the situation and acquire information. Only when citizens are fully aware of the potential risks in their communities can they prevent and properly respond to an emergency,” said the group. Apart from offering public access to environmental information, the Taiwanese government also needs to get on a sustainable energy path in land planning and industrial policy to prevent future disasters, critics say. When the Ministry of Economic Affairs considered helping local governments relocate petrochemical pipelines to less populated areas, residents and civil groups were not cheering. Fu-hsien Hung was one of the Kaohsiung residents who opposed the relocation policy. 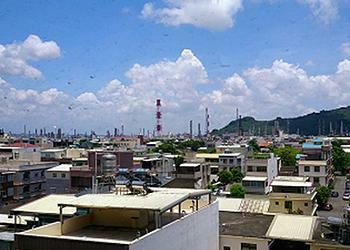 “Wherever we move within Kaohsiung, we will still be under the influence of petrochemical pollution,” he said. “Kaohsiung has been sacrificing the environment for industrial development for decades,” said Kuei-tien Chou, chief director of Risk Society and Policy Research Center at National Taiwan University. Chou argues that lying behind the benefits of industrial progress are the risks of causing irrecoverable environmental pollution and endangering public health. “We need to bring clean energy to our country that does not sacrifice the environment but still can boost the economy,” he said. Chi-chung Chen, professor of Applied Economics at National Chung Hsing University, told an industrial policy forum that up to 70 percent of economic gains achieved by petrochemical products made in Taiwan come from export sales rather than supplying domestic needs. While contributing to 3.97 percent of the national GDP, this industry, with its high energy consumption, high pollution and heavy external cost to the society, may not be as efficient as agriculture in generating GDP growth. Taiwan Watch Institute Secretary-General Ho-lin Hsieh said that it would be in Taiwan’s best interest to curb dependence on the petrochemical industry and begin to reduce its size.